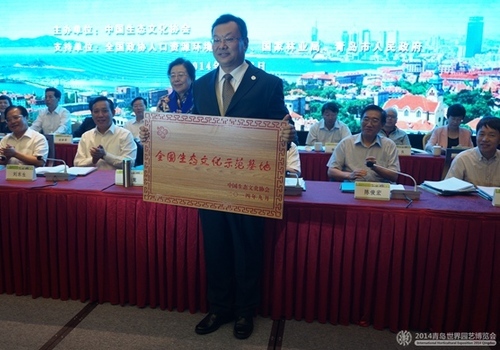 The city of Qingdao in Shandong province hosted a symposium on the construction of an eco-culture village on Sept 15, attended by 220 experts from eco-cultural departments in the country. The park of the 2014 Qingdao International Horticultural Exposition was awarded eco-culture model status by the China Eco-culture Association, organizer of the symposium. “We are immensely proud to be awarded the title and will strive to provide an excellent horticultural exposition to the world and make contributions to China’s ecological civilization,” said Li Fengli, secretary general of the Qingdao Expo executive committee. 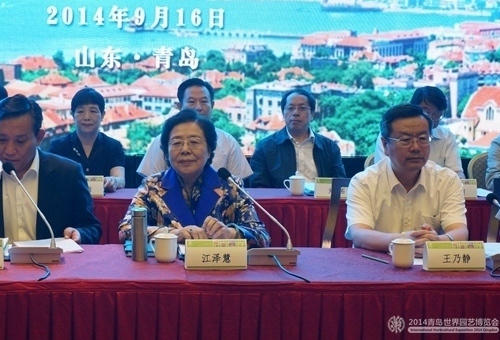 Jiang Zehui, president of the China Eco-culture Association and Liu Dongsheng, deputy director general of the State Forestry Administration, attended the meeting and made reports.